Rabbi Dr. Aryeh Solomon serves as College Rabbi to Moriah College’s 1,500 students in Sydney, AU, and the author of “The Educational Teachings of Rabbi Menachem M. Schneerson.” Rabbi Solomon speaks and writes widely about the Rebbe’s perspectives on Chinuch, and it is our privilege to interview him regarding his unique Shlichus in Chinuch. What inspired you to begin working in Chinuch, and then to do such intensive research on the Rebbe’s approach to Chinuch for your groundbreaking book? It all started with a yechidus. Back in the Lammeds (the 1970s) – in the early years of the Yeshiva Gedolah established by the Rebbe in Melbourne, Australia – the “koach” of Limudei Chol was such that it was quite regular for many boys to finish high school, study for two years at the Yeshiva Gedolah and then proceed to study for a career. I was a Sydney boy who came to Yeshiva Gedolah for two years after High School, and I then proceeded to Sydney University in order to major in Education. After finishing 2 years of the 3-year B.A., I travelled with a chavrusa to spend summer vacation in Crown Heights, reliving my full-time yeshiva experience and re-engaging with the shluchim who were at Yeshiva Gedolah when I was there. During this time I was privileged to have yechidus with the Rebbe. In the yechidus, I asked the Rebbe whether, upon finishing the third and final year of my BA degree I should return to yeshiva study. In my tzetel I wrote that I definitely didn’t want to do a fourth year (known as the post-graduate Diploma of Education) and I gave three or four reasons why I should not do the post-graduate Diploma of Education. I was utterly surprised, and remember thinking to myself, “How can this modest course help me in those very exalted things?” Of course, not knowing how this would play out, I listened to the Rebbe – especially as his directive was so positive. The Diploma of Education led directly to my shlichus of the past 34 years as College Rabbi of Moriah College in Sydney, a position that has enabled me to engage in hafotzas hayahadus. When I did the Diploma, Sydney University actually phoned the principal of Moriah College to ask him to accept me for the “student teaching” part of the diploma because of my Erev Shabbos, Yom Tov and Kashrus requirements, and that is how it got started. Again, it was through the Diploma which the Rebbe had encouraged me to do. However, I was perplexed by the statement that my post-graduate studies in education would enable hafotzas hamayonos. It was later when I was being encouraged by the university faculty to proceed thereafter to a doctorate that I first thought of writing a PhD on the Rebbe’s educational teachings. That is how the intensive research started back in 1994 and was published in 2000 by Jason Aronson as “The Educational Teachings of Rabbi Menachem M. Schneerson”. What are a few horaos from the Rebbe about Chinuch that you encountered in your work which you feel are especially important for teachers to know? There are so many horo’os of the Rebbe on chinuch – with over 4,000 Sichos, Igros or ma’anos that touch on chinuch – that it is hard to name a few. 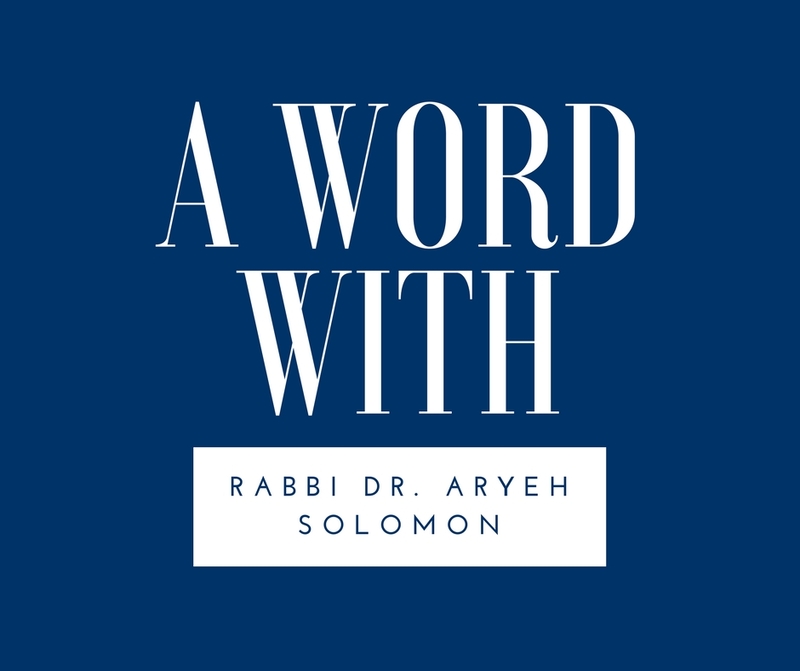 However, as my study examined the theory behind or the general themes of the Rebbe’s writings, I will talk about a few axiomatic principles. Clearly, the Rebbe teaches us never to lose sight of the infinite potential of the individual learner, however negative the prognosis may appear to be. The Rebbe remained convinced that the learner is potentially capable of enormous outcomes, irrespective of, and in sheer defiance of all prognosis and assessment. In fact, it is precisely because of the negative prognosis that Rebbe would insist on the learner’s limitless, latent potential of which the challenge is an indication. Trying circumstances of the learner are indicative of greater potential to overcome those challenges. In short, no setback is too daunting in the Rebbe’s educational view. The elderly are never too old and the juvenile are never too immature. Our so-called “confirmed” failures are never beyond hope. Also, to the Rebbe, everything is education. Life offers unlimited education possibilities to reveal the limitless learner potential upon which education is focused. The Rebbe therefore advocates that a chance encounter with a student outside the parameters of the school day can be even more potent than a classroom interaction. While at school, a chess game, a soccer game or an art class provide opportunities for moral edification. In turn, this puts a total demand on the teacher. The educator’s concern for the learner must go beyond hours of formal instruction and defies limitations of subjects taught. The teacher of agriculture can and must exert a positive influence in the area of religious education. The Rebbe repeatedly urged the educator to be proactive and ever-mindful of their students like Reb Shmuel ben Shilas in the Gemora [Bova Basra, 8b]. In fact the Rebbe said that our last thought before closing our eyes at night and our first waking thought in the morning should be about the Chinuch of our children and our talmidim. (See Igros Kodesh, Volume 4, page 372, paragraph 1 and Igros Kodesh, Volume 23, page 14). What steps would you recommend for a Chabad teacher who is looking to grow and improve in his/her Avodas Hakodesh? There are over 30 wonderful anthologies that gather the Rebbe’s hora’os on Chinuch. These are practical hora’os about issues such as: how the mechanech must talk to a student, avoiding expulsion of a difficult student (as a last resort in very extreme cases), discipline policy, avoiding inappropriate images, teaching by example and so many more. When Rabbi Shmuel Lew of London, himself a seasoned mechanech, came to Australia a few years ago he told us that every day he studies the Igros Kodesh in a seder. When he travels he prints out the Igros he will need for his time “on the road”. Today, thanks to these anthologies, familiarization with the Rebbe’s directives on chinuch is now much easier. As hama’aseh hu ho’ikar in the Rebbe’s teachings, it is these practical directives that are so important. Furthermore, it is little known how much the Rebbe and Frierdiker Rebbe encouraged and urged teachers to develop their skills and ability to reach every student. In fact, in 1947 the Frierdiker wrote to all teachers in the Tomchei Temimim Lubavitcher Yeshiva, Achei Temimim and Chadrei Temimim all over the country to participate in teacher training courses, writing, “The most gifted and experienced educators need to periodically discuss methodologies of education and guidance which are most appropriate for the students whom they are guiding. (See Igros Kodesh- Rayatz, Volume 9, pages 223-4, Letters 2999 and 3000) How much more so does this principle apply to those younger, less experienced educators who are duty bound to do all that is possible to broaden their knowledge of education and guidance.” A course of training for the duration of several months was then set up, instructed by Dr. William Brikman, a frum and ehrliche Yid who was also a professor of education at NYU. From this and many other printed letters we see that both the Frierdiker Rebbe and the Rebbe believed that irrespective of how accomplished an educator might be, there was always room for them to improve through pedagogical training. As a dedicated Chabad teacher in a non-Chabad, community school, setting, what message do you have for other Chabad teachers in similar positions about their unique Shlichus within Chinuch? Our hafotzas hamayonos must always be done in a way of darchei sholom. In some circumstances, we must honour the Rebbe’s directive of teaching Chassidus “without the Shaar Blatt [title page]”, meaning that we communicate the ideas of Chassidus without emphasizing that “this is Chabad”. However, I detect a major development of late in teaching in such schools. Many non-Chabad yeshivos in Israel from which many mechanchim emerge, are actually now very positive towards Chassidus in general and Chabad Chassidus in particular. These graduates in these schools sometimes actually teach ideas in Chassidus and may even ask for a source for a certain idea in Likkutei Sichos. They might attend, and encourage their students to attend, a Yud-Tes Kislev farbrengen in town, and will possibly even request a shiur in Chassidus. Moreover, our graduating students who go on to study in such yeshivos often return and ask for a kvi’us in learning Tanya or Sichos. This puts a whole new responsibility on Chabad mechanchim in such mosdos to meet this demand. Of course, we must always try our best to serve as dugma of what a Chabad Chosid is to our fellow teachers and to our students. Do you know someone we should interview? Email [email protected] to let us know!